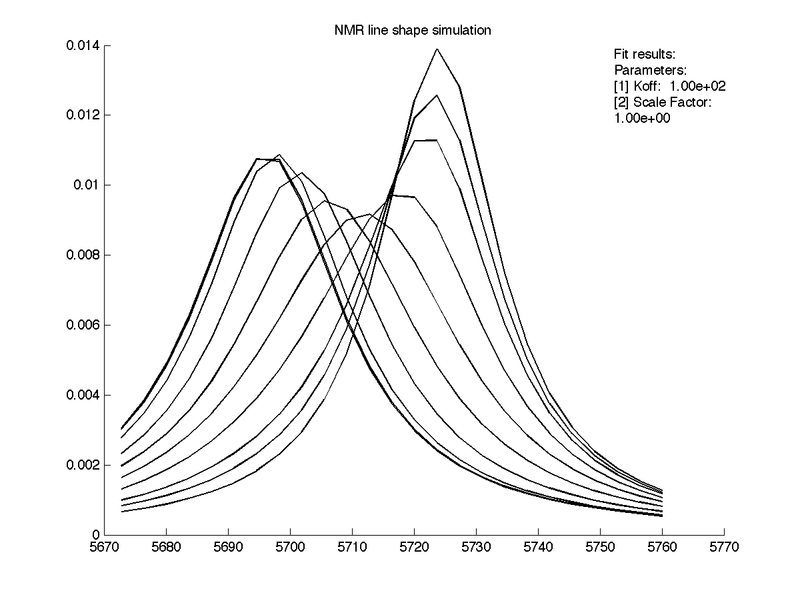 You may simulate line shapes for a specific peak for different possible combinations of parameters. You need titration spectral data for that as a simulation uses real frequency ranges from these data. You may do simulation using fully manually entered starting parameters or let the program determine peak positions and relaxation rates and then you may vary the kinetic and equilibrium constants to see the effect. The program shows two graphs - raw data and simulation results. 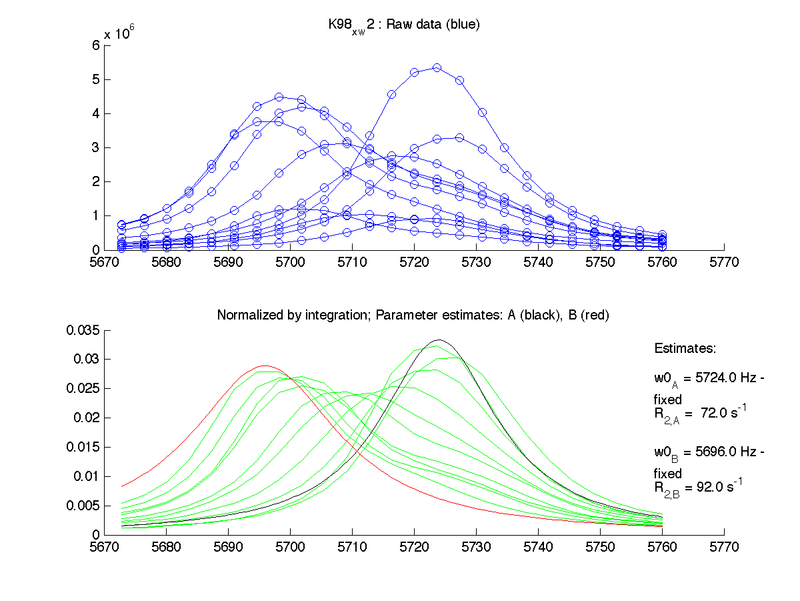 It saves them in figures/ as both PNG image and FIG file editable in Matlab.